Printers sure aren’t the easiest things to use, let alone repair. As your machine’s life progresses, it becomes more and more common to see malfunctions that lead to issues. These issues can be show stoppers and not only lead to user frustration but eventually lead you to purchase a new machine. Surprisingly, many times when printers have issues outside of jamming, they can be easily fixed. Before calling out the cavalry for repair service, we have some troubleshooting tips that may save your day. For Ethernet users (not USB)- First, double check if your cable is connected to your printer. If so, you should see a green light. If you see no lights at all, your cable is not connecting to anything. Ensure that your switch is live or the ports you are plugging into are live. If your machine also has a wireless feature, disconnect your cable and turn on your wifi to see if this solves the problem. Additionally, check that the machine is actually powering on and you do not have a blown circuit. Look for the panel to display operational lights or listen for the motor or fan running. If your machine is on, try rebooting it by holding down the power button for an extended period of time (or as directed in the user manual). For any network printer connected to your network, if your configuration is not correct you cannot print. Make sure you are on the same network as the printer. Sometimes people may be connected to another office via VPN and forget about this- therefore they cannot print. Also, make sure the printer has an IP Address- you can check this on the printer itself under the menu feature, look for network settings and under ipv4 look for the ip address. Once you have that IP address go back to your computer, open a browser andn type in that address. You will see a webpage specific to that printer. If you can see that page, you should be able to print. You can also change several printing settings here as well. If you cannot see this page, that means your computer is not communicating with the printer. Check that the printer has an ethernet cable plugged into it, or that the actual wireless feature of the printer is turned on. Many times with wireless the signal will be turned off, while the printer is still on and active. Try powering off the printer and turning it back on to see if this resets the network services. If the printer can be turned on, and the control panel can be used, double check that there is paper and toner in the machine. This is a common overthought, but quite the simple fix: just add paper or toner! 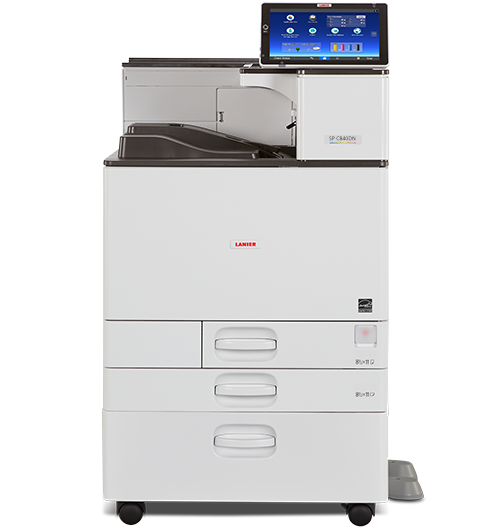 Additionally, if you do have paper and toner in the machine and it still beeps at you, make sure the drawer paper setting is a match to what it is you are printing. PDF files are infamous for this; several times they are rendered in a strange, abnormal size like 8.6 x 11.3 instead of normal 8.5 x 11 paper. This will confuse the printer. If this happens simply go to your paper size in either your word program or PDF and change it to a different size in order for it to print. Or, in the print driver options you can set a custom size specific to your abnormal paper size. A lot of times, printers will have error lights in the case of a malfunction. This tends to vary printer to printer, but if you’re seeing abnormal colors or blinking lights, or pages being printed with gibberish, this is most likely because you are using the wrong print driver. Go to the manufacturers website and download a print driver other than the “Universal” print driver. These drivers are very basic and do not offer any advanced functionality. If you can, use the print driver specific to your machine model. If the machine is on the network, has an IP address that you can reach, then it is possible that your SNMP settings are turned off. To fix this, go to devices and printers and find your printer that is not working. Right click on the icon, and go to printer properties>ports>configure port> and then make sure “SNMP Status Enabled” is checked. If it is not, check it, click OK, then apply. The printer will not communicate with the network. Once you have done this, got back to the General Tab and click on “Print Test Page” and your printer will print out a test page. 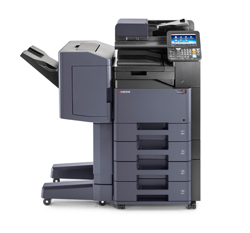 Hopefully these tips have helped you solve your networking printer issues!